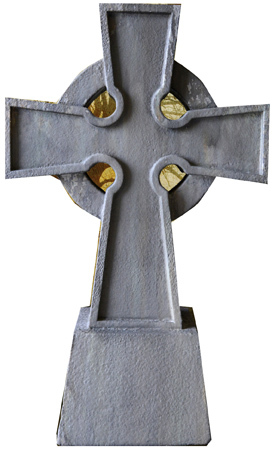 Tombstone Cross Cardboard Cutout Standup Prop - Dino Rentos Studios, INC.
Add a little spooky spirit with this Tombstone Cross Cardboard Cutout Standup Prop! Perfect for any Halloween or Haunted themed party or production. 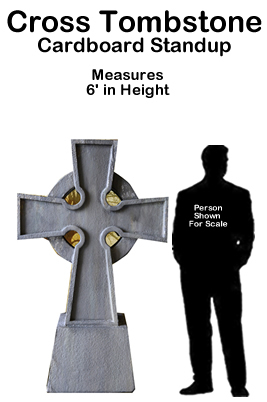 Tombstone Cross Cardboard Cutout Standup Prop measures 6ft tall x 44" wide. Upgrade to plastic cardboard for an all-weather prop that can be used indoors and outdoors!